If you didn't look at the description all the ESP that are provided in this mod must be at the bottom of the load order or else it doesn't work. Report a bug if the problem still persist. Working! I can not appreciate how much i am thankful. Thank you so much! 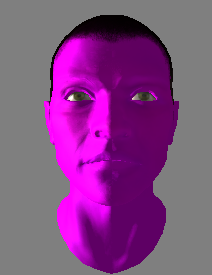 It's probably just the amount of mods I have active (I am under the max plugin limit) but every time I enable the pink face fix for NVR 3 all my textures bug out upon fast traveling, and I get errors in my game. If I enable the FCO version everything is fine. Any ideas? I've never heard of anyone using 3.0 with NVR3 even though its recommended in the description. I'm only using vanilla bodies haven't tested this install order with body replacers. Only bugs I've had so far is Barton Thorn has a vanilla face and the Lonesome Drifter's eyes are messed up. Other then that, everything looks good on my end no pink faces. Yeah mods that are affected by FCO might give them pink heads. It would be best to disable FCO npc replacer if the mods you're using adds more npcs. Instead use New Vegas Redesigned as an alternate for vanilla NPCs. Also make sure that the ESPs I created are at the bottom of the load order. 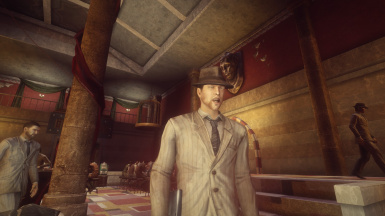 This mod seems to have fixed most of the pinkheads: however certain npcs, like male locals and specifically the NCR troops hanging outside of Gomorah have the pink heads still (other ncr npcs are fine, and the gamblers faces in the casinos are fixed as well). Is it possible this is due to having mods like freeside open, and cut content mods like outside bets and restoration of unused npcs could be the source of the problem? Update for anyone else who is having similar issues: I fixed it by installing Redesigned 3 and FCO together, plus the pink face fix for both mods. Ugly pink faces finally gone! Yeah some mods outside of new vegas (and New Vegas redesigned/FCO) will have pink heads and that would mean I would have to download them see the problem and fix them. Sorry but I would like to restirct my mod to FCO and New Vegas Redesigned. What if i have Caesar's New Regime? November 2018 Edit: It works like normal with or without FCO. Thank you!!! So glad you made this, fixed all my problems. Been playing Fallout 3 with Fallout 3 Redesigned and Fallout Character Overhaul and got the same pink face issue but haven't found a fix for it. I wonder if I'm the only one who encountered this bug with Fallout 3. Sorry but this is for new vegas; I did not touch character overhaul on Fallout 3. Still getting pink head after every different combination of patches possible. Checked archive installation and did several new games. Just not happening. I have FCO 2.3 instaled to work with NVR 3. Enabled and disabled FCO master. Tried every one of your optional files. Nada. Reinstalled everything 3 times. The funny thing is, I don't really care for the NPC overhauls that much - my pride won't let me give up until I fix this. This is for FCO3. So I don't know if it should on FCO2 or simply it should not work with FCO2. This mod is meant for FCO3 to work with redesigned. Reminder. If you use both NVR3 and FCO and then use a Wrye Flash Bash patch, it will mess up your races. Yes, it does this even if you don't select Import Faces or import Races. You'll have to go through and edit each npc to make sure that the patch hasn't swapped NVR3 Races with FCO eyes or other assets. The double iris "devil eye" thing is because FCO uses different eye meshes than NVR3 and the two don't work together. So if the Bash Patch adds FCO eyes to an NVR3 race you get devil eyes and other glitches. This is not caused by either mod, it's a problem with Wrye Flash "filling in the gaps" when it shouldn't. I'm sure it does the same thing with any other mod that alters races too. If the bash patch imports and FCO race, but not FCO eyes, you get the eye glitch. Not sure if this happens with an FNVEDit Merge patch. Just thought I'd mention it since I haven't seen it addressed. It didnt happen to me so I didnt address it. If there are more people having this problem then I will have to address this. Anyways thanks for the advice to anyone having this problem. So I have Fallout Character Overhaul and Fallout New Vegas Redesigned 3! Now which do I have to download ? Fallout New Vegas Redesigned 3 No more Pinkheads .esp or Fallout Character Overhaul Pink Faces fix .esp version ? You said just one .ESP, but I'm still confused.